We are used to seeing celebrity poker players on the big screen playing high stakes games that are full of tension and drama. But when it comes to poker it seems that some celebrities have taken their role further and are also renowned for doing this in the real world too. Poker is probably the most popular casino game around, with millions of fans worldwide and gameplay that is enjoyed by people from all walks of life. The game is easily picked up but takes much longer to master and the mix of excitement, drama and 'anything can happen' gameplay has made a simple card game into a multi-billion dollar global industry. And now it seems there are celebrity poker players getting in on a piece of the action, with actors, sports stars and musicians appearing at casinos, tournaments and even online and raising the profile of this popular card game. Playing online has certainly become easier in recent years for celebrity poker players who have such busy lifestyles and schedules, with online websites and apps allowing players unrestricted access 24 hours a day. Sites like 888poker offer a superb range of games at their non-stop online poker website which includes live video-streamed poker with trained dealers, so gamers can get a slice of the action between takes, after the gig, before their training session or even from the comfort of their sofa. We've profiled four of the biggest celebrity poker players who we know to be huge fans of the game, two of whom might have picked up their interest in poker from getting background insight for the roles they have played in movies centered around this game, and some with a few surprising stories along the way! Matt Damnon as Mike McDermott in the film Rounders. 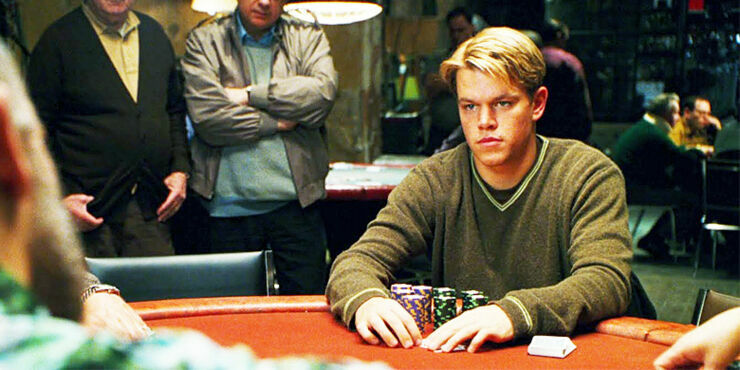 Damon may have played a poker genius in the cult poker movie Rounders (where he plays the role of Mike McDermott who loses his money in a poker game against Russian gangster Teddy "KGB"), but he is actually a decent poker player in the real world. Usually taking part in games with fellow poker fan Ben Affleck, Damon has appeared at the World Series of Poker and is fairly active on the tournament scene. He has even mentioned that there may be a Rounders sequel in the pipeline, such is his love of the game. 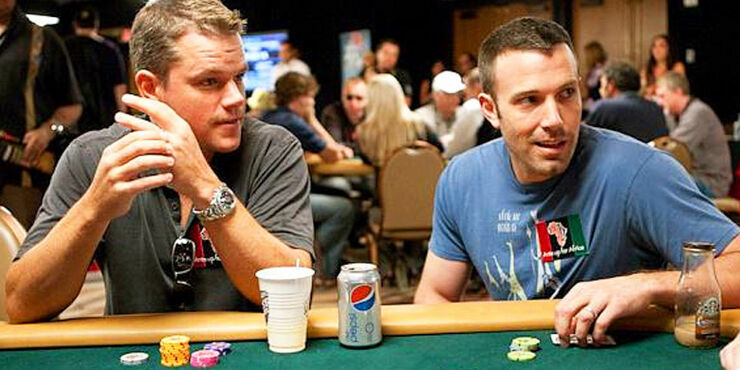 Matt Damon & Ben Affleck - World Series Of Poker 2009. Affleck is the 'badass' of the duo, known to take part in behind-closed doors celebrity games with Damon and fellow poker freak Tobey Maguire. These games are known to have pots in the millions and Affleck isn't afraid to play big, with about $500,000 in open tournament cashes to his name. He has also played a gambling tycoon in 'Runner Runner', a major motion picture that's set in the online poker world. Although poker is his hobby away from acting, he may struggle to enjoy poker in the casinos of Las Vegas thanks to a heavily publicized brush with the Hard Rock cafe after getting caught counting cards at the blackjack table. Whoops! 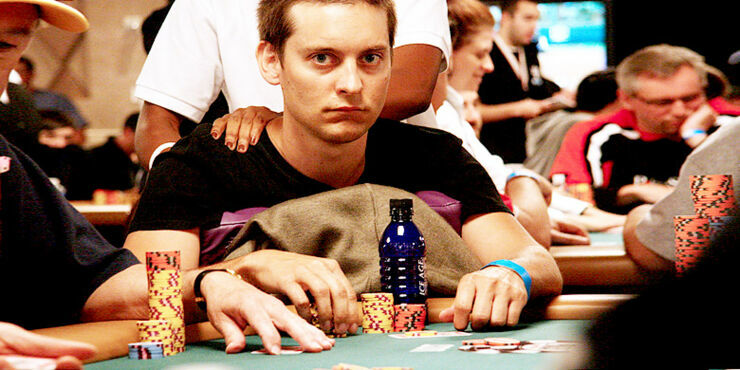 Tobey Maguire attends the legal World Series of Poker event in Las Vegas. The final member of the Hollywood trio, Maguire is probably the most successful thanks to big tournament earnings and plenty of wins online. He has been playing at a high level since 2004 so he's certainly no slouch, but his preference for private games has earned him a couple of run ins with the law, with subsequent lawsuits hitting the papers. His acting ability probably helps him to deadpan his opponents. Michael Phelps at the 2013 PCA main event. Out of the water and away from his ridiculous amount of gold medals, swimmer Michael Phelps is known to hit the tables when he isn't in the pool. 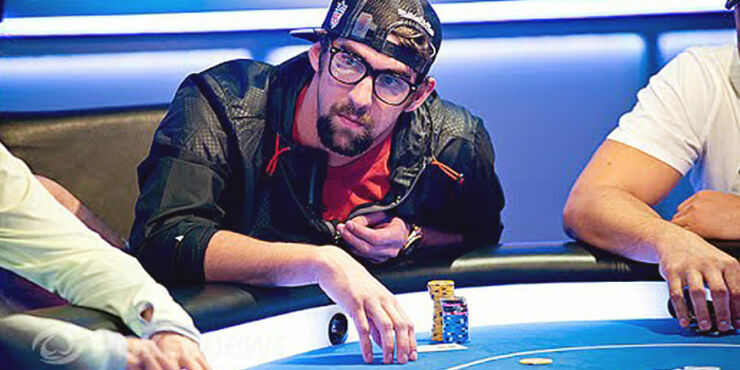 Phelps has appeared in the $10,000 Tag Team event at the WSOP recently and is alleged to sometimes get too involved with high stakes games and the desire to win. Let's hope he doesn't end up putting any medals on the table in a desperate last ditch effort to win his fortunes back. Have You Ever Wondered How People Spend Their Big Jackpot Wins?